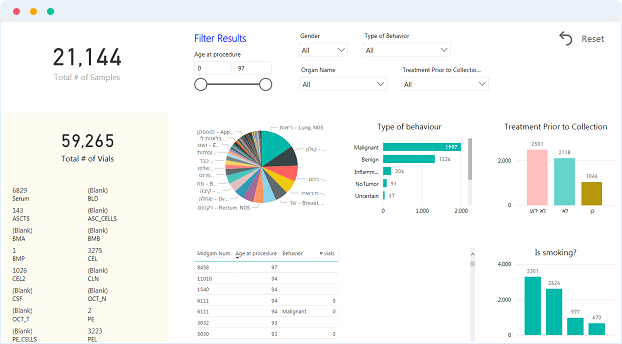 Track your bio-samples, optimise data management and provide pristine specimens. Extend data capture – clinical, demographic, project-specific and administrative data, images or any other field. Eliminate spreadsheets and connect everything to one place. 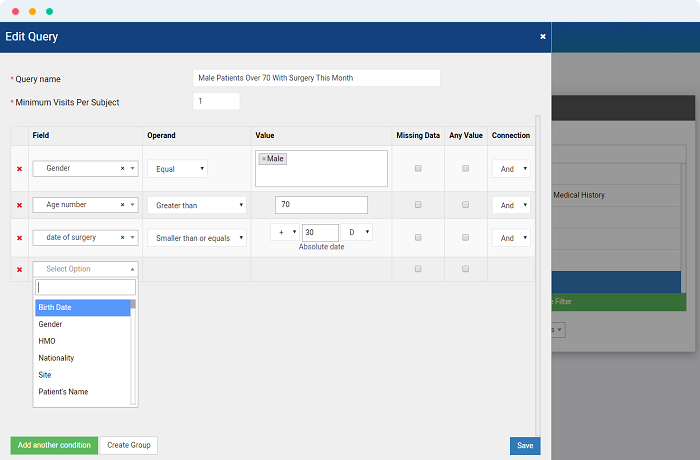 Streamline your workflows with customizable screens. 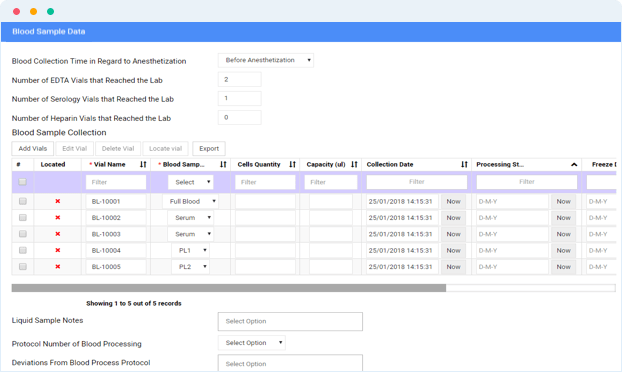 Assign screens to specific user/team to manage daily samples, processing, QC and others, according to your needs. Expand your ability to find the samples you’re looking for, using natural language filters. For ex. display only malignant tumor samples from smokers with 2 collection events, and a minimum of 3 vials. 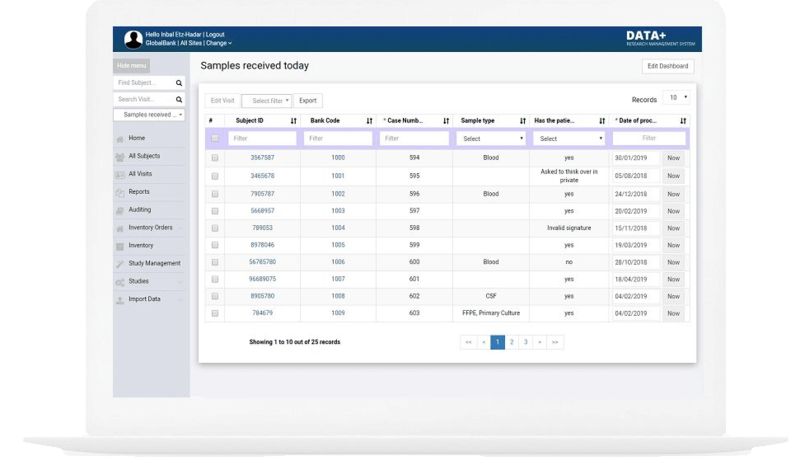 Enhance researcher interaction by providing a self-service sample search, and optimize your ordering process.